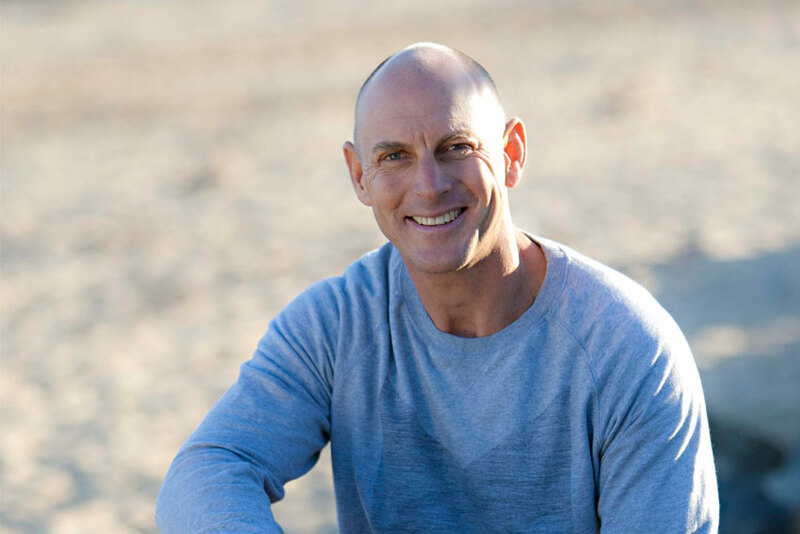 A recent radio interview on ABC National radio with Joel Spry, a former client, now good friend of mine with whom, we used a combination of MIckel Therapy and Breath work to overcome IBS, anxiety and CFS. Interview linked at the bottom. Constriction in other tubes in our body, as seen in IBS, reflux and constipation, which are so often worse when we’re stressed and we breathe more rapidly. We also discussed the affect of slouching whilst we’re sitting on our breathing; why we over-breathe in the first place; and what we can do now to correct this. Finally, we finished with a simple diaphragmatic, nose breathing exercise. See www.takeabreath.com.au or www.timaltman.com.au for more details. Can Breathing Retraining Help To Resolve Ailments Such As Anxiety, IBS, Sinusitis and Psoriasis? Anxiety – prone to anxiety regularly. Her osteopath (who referred her to me) says that she has an extremely tense body to touch – especially shoulders. Also IBS < stress. Takes a probiotic daily. Stiffness and pain in neck and shoulders – unable to turn head around without pain. Polymyalgia rheumatica -> discomfort. Arthritis in hands. Recently has had lots of sinusitis, and congestion in upper chest/throat. Also psoriasis – very itchy. Read my book on breathing and thinks she over-breathes. As a 14 y.o. had severe asthma – in children’s hospital for a year. Did postural drainage (was called nervous asthma) and lots of deep bx. No longer has asthma. Sleep – thinks she bx’s rapidly – almost panic. Thinks it affects sleep. Sometimes has trouble with sleep. Wakes with a dry mouth. Definitely snores. Sleeps on side. Dry mouth in am and during the night. Night time toilet trips – at least 2 per night (for the last 20 years since menopause). No water at night. Supplements – Magnesium and a probiotic. I suggested also a fish oil (for anti-inflammatory properties, and glucosamine for the arthritis). Medication – Voltaren cream for arthritis when needed. Previously on steroids for her arthritis, but she discontinued as she gained too much weight. Looking at her symptom presentation and history, she has a history of issues that can be related to dysfunctional breathing – asthma, sinusitis, anxiety, IBS, poor sleep quality. 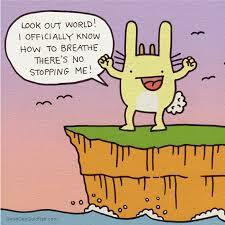 As such, it is possible that breathing is a major contributor to her current health picture. Her nutrition is quite good (compared), with very little indication of hypoglycaemia, or fluctuating blood sugar levels, and no clear or significant excesses or deficiencies. As such, I felt the first priority to assess her breathing efficiency using the capnometer – a biofeedback driven technology used in hospitals to monitor whether a patient is breathing, that measures breathing rate and exhaled carbon dioxide (measured as the volume of CO2 in the lungs at the end of exhalation – end tidal carbon dioxide – ETCO2). My blog, linked below, will discuss the importance of ETCO2 as a parameter in measuring breathing efficiency; however, in short, CO2 in our blood stream governs how efficiently we get oxygen (O2) from the air in our lungs, to the cells of our body for energy production (the purpose of respiration). Whilst oxygen is essential for energy production, without CO2 being present in our arterial blood stream, the oxygen would not be able to get to our cells in sufficient quantity. And given there is only 0.03% CO2 in our atmosphere, we must store it to have access to it. Therefore, it could be argued that CO2 is the limiting factor in respiration. CO2 is a by-product of energy production, so we make it, and whilst some CO2 is available to us in our venous blood supply (as it makes its way to the lungs to be exhaled), there is not enough here for efficient energy production, so we ideally have a store of 6.5% CO2 in our lungs at the end of exhalation (ETCO2), which translates to 40mmHg partial pressure of CO2 as a minimum ideal for efficient respiration, and energy production. This ETCO2 permeates back into our blood stream to allow the O2 to get to our cells. So, ideal levels on the capnometer for functional breathing, based on medical diagnostic norms, are 8-10 breathes per minute and an ETCO2 of 40mmHg. This client’s initial base reading was between 13-16 breaths per minute, which is at least roughly 50% higher than the ideal average of 8-10 bpm. And her ETCO2 was 30.8-32.0mmHg, so around 25% lower than the minimum ideal of 40mmHg. This suggests that she breathes at 25-50% below what is considered as functional – which is not at all uncommon. But is sufficient that it will definitely result in reduced energy production, and is likely that it will start to result in symptoms in the body. On further investigation, I also determined that we needed to address both breathing rate and volume in this client. Based on these thoughts and the breathing analysis, her only treatment after this initial session involved retraining her breathing so that she could breathe closer to functional levels at all times, including whilst sleeping. 1. Breathe through the nose at all times (unless exercising at high levels). 2. Use the diaphragm at all times. 3. Increase tolerance to elevated CO2 (hypercapnia). 4. Reduce rate and volume of breathing to optimise O2 delivery to cells for energy production and allow dilation of airways, blood vessels, GIT etc. 5. Regulate the autonomic nervous system (via the diaphragm) to increase the parasympathetic (PSNS – relax, rest and digest): sympathetic (SNS – fight or flight) ratio. 1. Diaphragmatic breathing rhythms that aimed at having her breathe only through her nose, using her diaphragm only (not chest and shoulders) at rhythms designed to retrain her day to day breathing rhythm. 2-3 x 10 minutes each per day. 2. Preventing mouth breathing at night by keeping the tongue at the roof of the mouth, and/or taping the mouth closed at night using 1 inch porous paper tape; i.e. Micropore tape. 3. Practising breath holds to increase the brain’s tolerance to higher CO2 levels which will result in the body accepting lower breathing rate and volume (and therefore more efficient breathing) more permanently. 3-5 per day at least. I didn’t make any nutritional changes or add any herbs and supplements at this stage as I wanted her to focus on the breathing retraining. Plus I didn’t want to overwhelm her. She said she is snoring much less, although she didn’t tape her mouth at night as the adhesive on the tape made her itch. She did concentrate on keeping her tongue on the roof of her mouth as she went to bed prior to sleeping. In addition, she did plenty of breathing rhythms and breath holds – at least the specified amount. • Hasn’t had a night time toilet trip since. • No dry mouth in the morning. • She feels much better – more energetic. Much less fatigue at 3pm also. • She also feels much calmer – less anxiety. • No hyperventilating or feeling panic when going to bed. • No clenching of her jaw. • IBS symptoms much better – no cramps, pain, diarrhoea or constipation. • Her psoriasis hasn’t been itchy at all, and the scabs on her head have mostly cleared up. • Her arthritis was bad for 3 days last week – she thinks she overdid it with the gardening. It felt better after a warm shower and Voltaren cream. Overall, I am not surprised to see results given her history of dysfunctional breathing, but these scope of the results were a very pleasant surprise. I expected to see results with her sleep related symptoms and quality, anxiety, and possibly with energy levels and her IBS symptoms. Linked is an article and video on IBS and breathing. However, I was surprised to see such significant results with her psoriasis. It makes sense that functional breathing can help with psoriasis symptoms, as it will create more vasodilation, and therefore more blood and lymph flow to the scalp; plus the diaphragmatic rhythms will help decrease sympathetic (or fight and flight) nervous system activation and dominance, and therefore improve immune function. A bonus. But we need to see what happens over time. Will these improvements persist? Capnometry results were also significantly improved – much closer to functional breathing. A persistence in all improvements from last session. • Still no night time toilet trips or dry mouth in the morning. • Sleep quality is still good, and no snoring. • Psoriasis nearly all cleared up – she’d had this for 20 years!! • Also, significantly reduced tightness and pain in her neck and shoulders – her osteopath (who referred her to me) is amazed. • IBS stable – no issues. • No hyperventilation or panic when she goes to bed. • Definitely calmer, more relaxed and better energy still. She feels quote distant from her worries now – she was in a family situation that would previously have wound her up, and she didn’t care. She used to have pain in her ribs that musculoskeletal practitioners had said was cartilage damage, but it has cleared up, so it may have been an issue with tightness in her previously underused diaphragm. She did have a cold for 3 days that blocked her up and she couldn’t nose breathe, which h she did not enjoy. But she was fine once it cleared up. Her arthritis is still not great on a cold day however. I advised her to continue with treatment as is, and take a fish oil, glucosamine, and turmeric for her arthritis. Outcome 3 – 12 Weeks from the start. Continuation of all improvements experienced thus far, so she’s very happy. • Still no night time toilet trips – no urgency even on waking. Her husband is shocked. • Also, still no jaw clenching at night or dry mouth in the am. • She thinks he psoriasis is gone – only one tiny spot left. • Still able to turn her neck around, and no pain in shoulders. • No IBS symptoms – however if she overeats, gut is not happy with her. The only thing that has not shifted is her arthritis – although this is manageable using Voltaren cream, or the occasional Panadol osteo if it flares up. Unfortunately she didn’t take the glucosamine, and fish oil I recommended. She has maintained her breathing exercises now for 3 months, and the improvements in symptoms have now continued, so I am confident that her practice will continue and that she has established a pattern of breathing that will continue to yield these results. It does not take long to see improvements in clients when implementing functional breathing practices, however it takes 3-4 months of continuous practice to make long term change in the way a client breathes. Once this is achieved, improvements in breathing and associated symptoms (with dysfunctional breathing), are likely to stick. In this client’s case, I believe she has reached this point, so she no longer needs to see me. Whilst we do not see such significant and widespread changes in all clients when retraining their breathing, I do commonly see similar results, so I was very confident of seeing good results with this client, given her history of symptoms and conditions associated with breathing dysfunction. I am not legally allowed to make claims that breathing retraining will resolve certain ailments, however I can report on how the client presented at each visit and the treatment strategies I implemented. – as I have done in this case. I’ll let you make your own conclusions on whether the treatment strategy was responsible for the change in symptoms. And, I am very comfortable in saying again I regularly see similar outcomes or improvements by addressing dysfunctional breathing. Not surprising given that most people breathe dysfunctionally, or over-breathe – twice as often as we should, with far too much volume, using mouth and nose (instead of nose only), and using shoulders and chest instead of the diaphragm. Breathing has been described by one of the World’s top sports doctors as the last unchartered frontier of exploration for sporting performance, and has certainly started to attract more attention of late, with increasing amounts of research stating to support the evidence for breath training. In fact, the Trek cycling team has just employed a breath coach to work with their professional cyclists. One of the reasons we started to pay attention to breathing as a modality for improving performance was from the fact that we know that the average person breathes way below diagnostic norms for breathing – the average person breathes twice as often as we should; using the mouth instead of or in addition to only the nose; using chest and shoulders instead of the diaphragm; and we breathe fa too much volume of air. In other words, we over breathe. By correcting this dysfunction in clinic and the lab has seen a consistent flow of research and clinical evidence as to the efficacy of breath work in treating ailments such as asthma and breathing difficulties, snoring and apnoea, anxiety and depression, fatigue, headaches and migraines, IBS, reflux and other digestive issues, chronic pain etc. 1. Greater surface area of the lung used for gas exchange – therefore increase oxygen uptake. 2. Increased oxygen delivery to cells, and therefore, energy production – based on the principles of the Bohr effect (as reduced rate and volume of breathing increases blood CO2 and therefore delivery of O2 to cells – see previous videos of mine at my ‘Tim Altman’ Youtube channel or blogs on www.timaltman.com.au. Or my book, ‘Breathing Dynamics’). We have found that you can learn to breathe with nose only during exercise up to about anaerobic threshold (or roughly 90% of max heart rate). But it takes time for the brain to accept higher levels of CO2 – so be patient. 3. As a result of increased O2 delivery to cells, lactic acid onset is delayed. 4. Potential buffering of lactic acid by increased CO2 – as it can be converted to bicarbonate as well as carbonic acid. 5. Increased brain tolerance to CO2 allowing for longer breath holds (for surfers etc), reduced breathing rate & volume, leading to greater breathing efficiency. 6. Increased core stability via the role the diaphragm plays in core stability. 7. Reduced heart rate during exertion resulting in further efficiency benefits – because, of all of the automatic functions in our body (controlled by the autonomic nervous system – ANS), breathing via the diaphragm is the one function we can consciously control with ease. As such, diaphragm breathing at a reduced rate, will influence the ANS and lead to reduced heart rate (via increased parasympathetic enervation). 8. Quicker recovery between intervals – due to increased breathing efficiency, and increased parasympathetic enervation. 9. Greater access to zone states or alpha brain wave activity whilst exercising – because of increased parasympathetic activity. 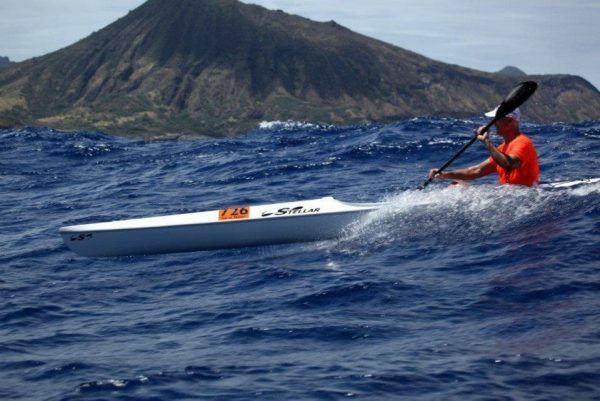 I’ve used these methods when paddling and finished top 10 twice in the Molokai World Surfski Championships, despite being in my late 40’s. I nose and diaphragm breathed throughout and my experience was that, once I settled into a comfortable reduced breathing pattern, I felt fantastic, and relaxed, so was able to accelerate in the last half to two thirds of the race – something that was not typical for me previously. If you would like to learn how to breathe more efficiently during exercise to hold your breath for longer, improve performance and recovery, increase relaxation and enjoyment of sport, and improve overall health and well-being, contact me at tim@timaltman.com.au or phone 0425 739 918 to discuss or make an appointment. I work one on one, with groups or online. We breath twice as often as we should (according to medical diagnostic norms). If our blood pressure were twice as high as it should be, or we ate twice as much as we should, we all know that would lead to health and well-being problems. Yet we take our breathing for granted, not realising that over-breathing upsets the delicate biochemical balance in our respiratory system that dictates how we get oxygen from the air we inhale in our lungs into the cells of our body for energy production (all known as, and explained in detail by ‘The Bohr Effect’). 1. We produce less energy – contributing to fatigue related illnesses, and poor mental functioning. 2. We are more predisposed to apnoea episodes – resulting in poor sleep, low energy, poor cognitive function, fatigue, and a potential flow on to increased likelihood of suffering inflammatory conditions. 3. Smooth muscle constriction around our breathing tubes predisposing to asthma and breathing difficulties, and also conditions relating to constriction or reduced function of all of the other tubes servicing our body (circulation, digestion, lymphatic, urinary etc) – these include IBS, reflux & other digestive complaints; high blood pressure & hypertension: sinusitis, hay fever & respiratory system illnesses; headaches and migraines; anxiety & depression. A World-First Longitudinal Study by University led by the University of Melbourne has specifically looked at the long-term effects of removing the tonsils and adenoids in childhood. In is fantastic that the linked article (below – and captioned above), by Dr Nerissa Hannink, of The University of Melbourne, has looked at the long-term risk of removing the tonsils and adenoids in childhood – and, especially that the conclusion was; “…..our results support delaying tonsil and adenoid removal if possible, which could aid normal immune system development in childhood and reduce the possible later-life disease risks we observed in our study,” Dr Byars says. For practitioners working with the impact of dysfunctional breathing (according to medical diagnostic norms) in clients, we find this as no surprise, especially given that most people fail to breath anywhere near medical diagnostic norms for what is considered functional for breathing – and the dysfunction most often begins at a young age. In the linked article the tonsils and adenoids are described as acting as first line of immune defense. However, when you look at the structure of the entire respiratory system, including the nose, we are designed to principally breathe in and out of the nose – the mouth being reserved for breathing in emergencies such as high level exercise or when one is startled or out of breath, and takes a gasp. The hairs in the nose filter the air we breathe, and the mucus in the nose and sinuses disinfect, humidify, and heat and cool the air that we inhale, so that when air reaches the lungs for gas exchange it is moist. at the right temperature and clean, optimising gas exchange. As such, perhaps that tonsils and adenoids are not first line of immune defense. It would make more sense that the nose and sinuses are first and second line (in correct breathing), making the tonsils and adenoids third or fourth line of immune defense. This may also then explain why the tonsils and adenoids become so inflamed in children. Given so many people mouth breathe instead of, or in addition to, primarily nose breathing, this would mean that the nose and sinuses are largely or completely by-passed by inhaled air making the tonsils and adenoids now first line of immune defense instead of 3rd or 4th. Therefore, perhaps they are being overworked by taking too much of the load of a function they merely assist in, rather than performing entirely – the resultant inflammation of tonsils and adenoids being a consequence of this overload. In addition to delaying the removal of tonsils and adenoids as suggested by the research in the article, it may also be prudent to investigate the reason why the tonsils and adenoids become inflamed so often in children. Correcting, or retaining breathing to functional norms, could be the first step in addressing this issue. That, on a few occasions has certainly has been my findings in clinic with clients, and that many of my colleagues report. If you’d like to learn to retrain your breathing to correct, or functional levels, then contact me at tim@timaltman.com.au or phone 0425 739 918.